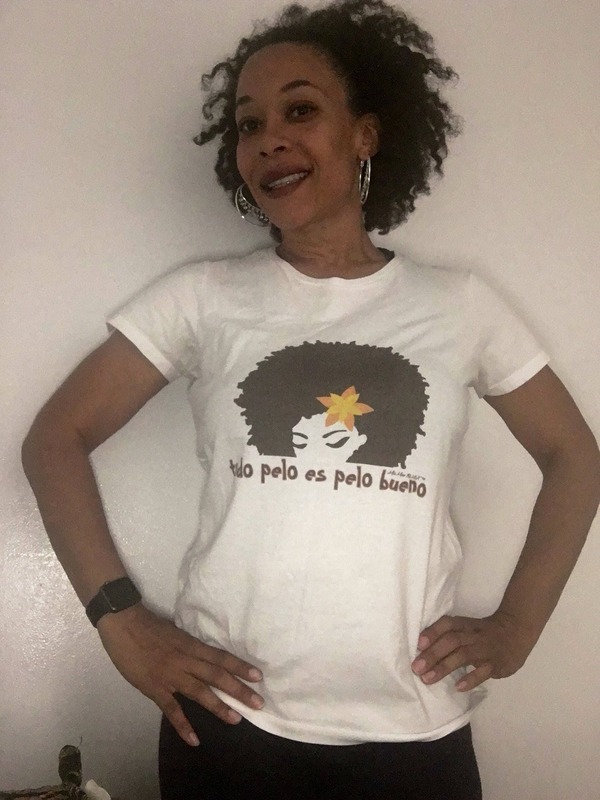 As mentioned in Oprah Magazine, this t-shirt has a positive empowering statement, "todo pelo es pelo bueno/all hair is good hair" with the choice of it stated in español or english. 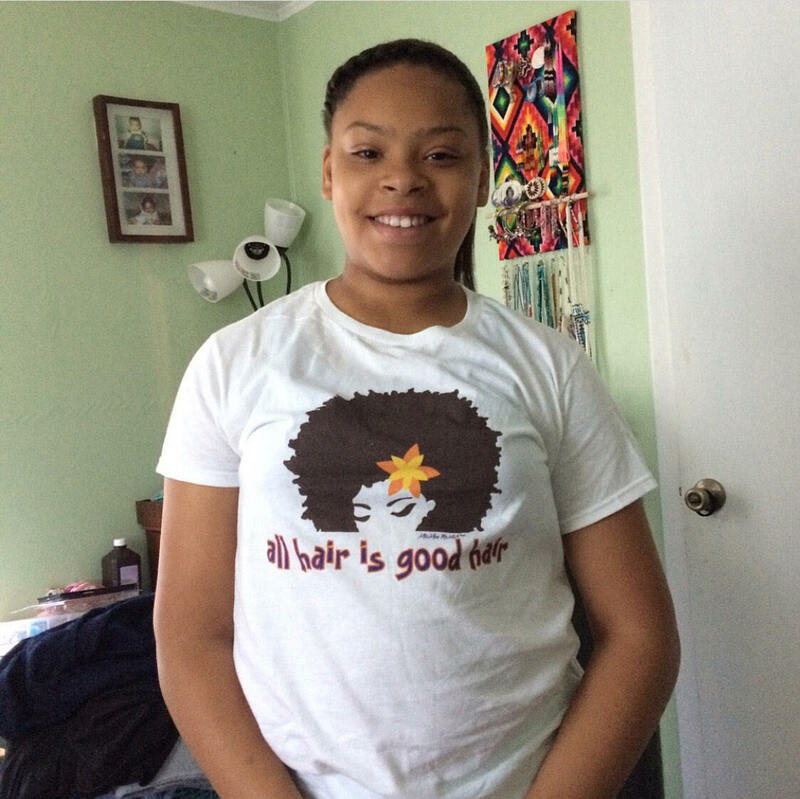 Either way, it's a straight to the point message that the texture of your hair does NOT determine whether it is good or bad. 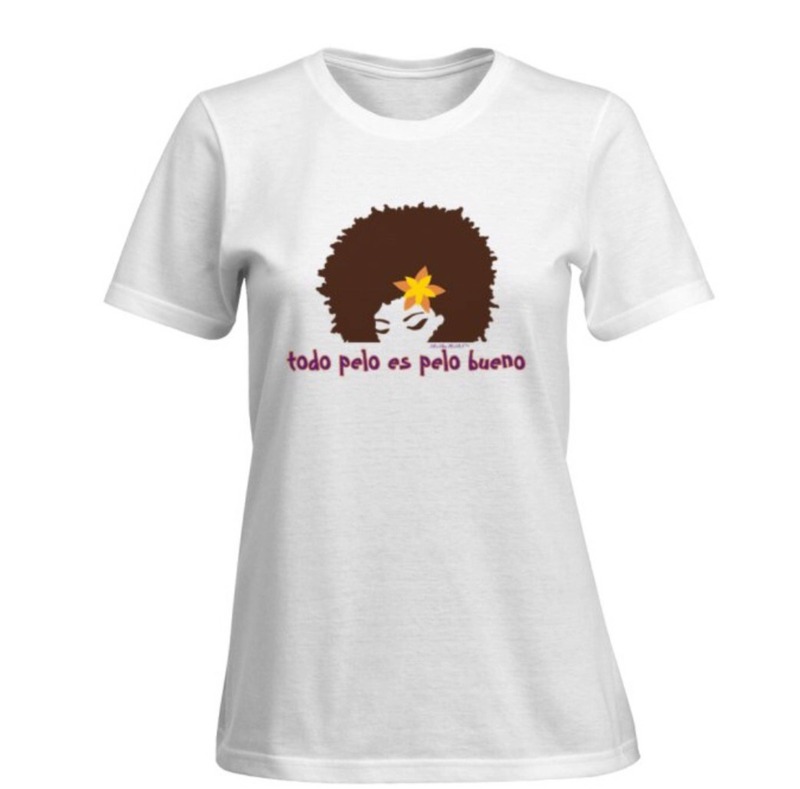 Rock it with sass, pride and YOUR beauty! This is an ultra-soft fitted SignatureSoft t-shirt made of 100% ringspun combed cotton soft to the touch for all day comfort. 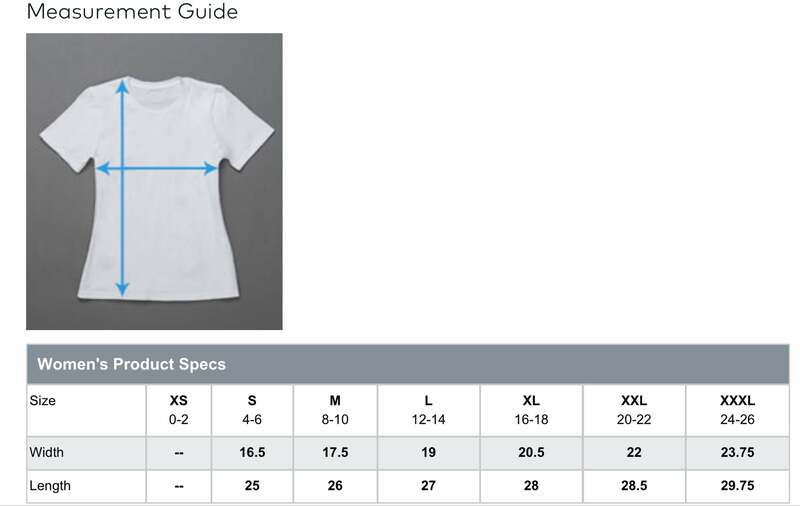 T-shirts run small, so please be sure to check the size chart before placing order. US domestic shipping is free. 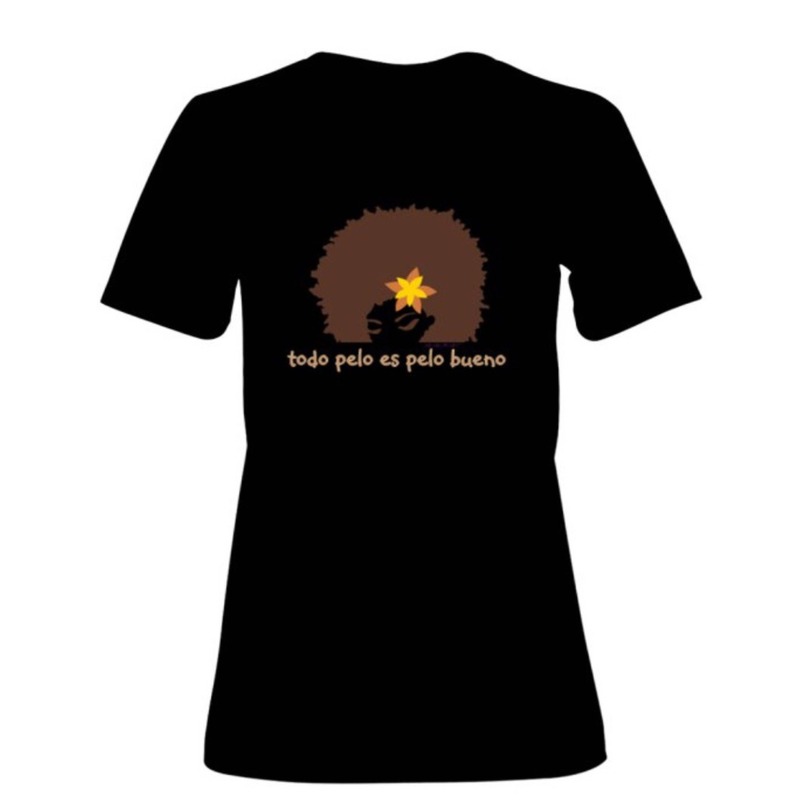 Please allow 2 weeks for processing and delivery on t-shirt orders only. We will not, in any circumstances, share your personal information with other individuals or organizations without your permission, including public organizations, corporations or individuals. We do not sell, communicate or divulge your information to any mailing lists. Gift wrapping is free upon request and item is securely packaged for shipping. 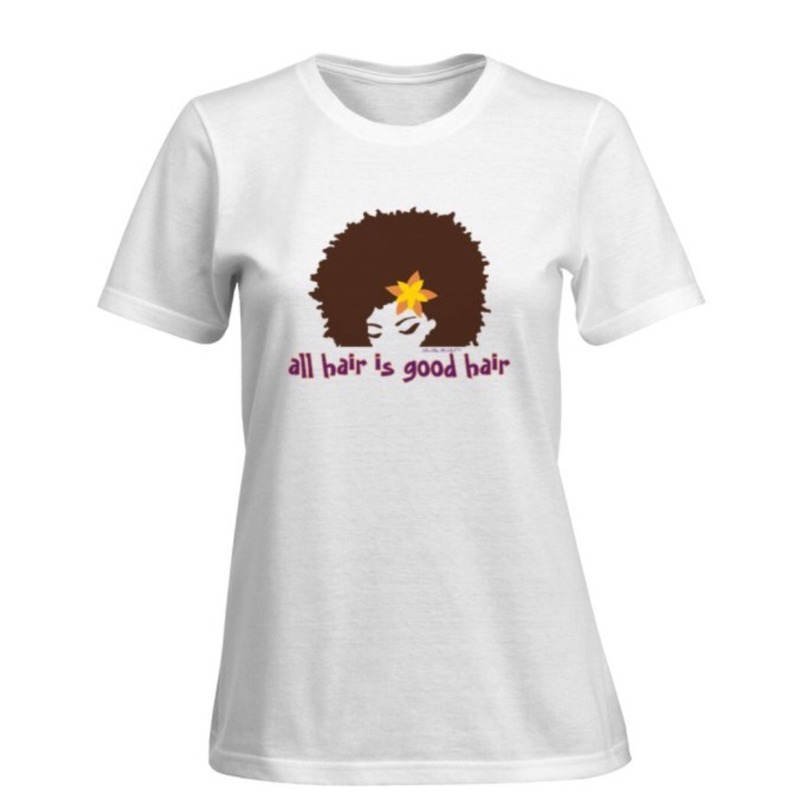 All products are 100% natural and will be good for up to 6 months from purchase. They do not need to be refrigerated and should be shaken well before application. Please keep in mind that ingredients are pure with no fillers or chemicals added. Which makes a little bit go a long way. Apply sparingly, especially if your hair is fine and/or thin. Please contact seller directly to make arrangements.